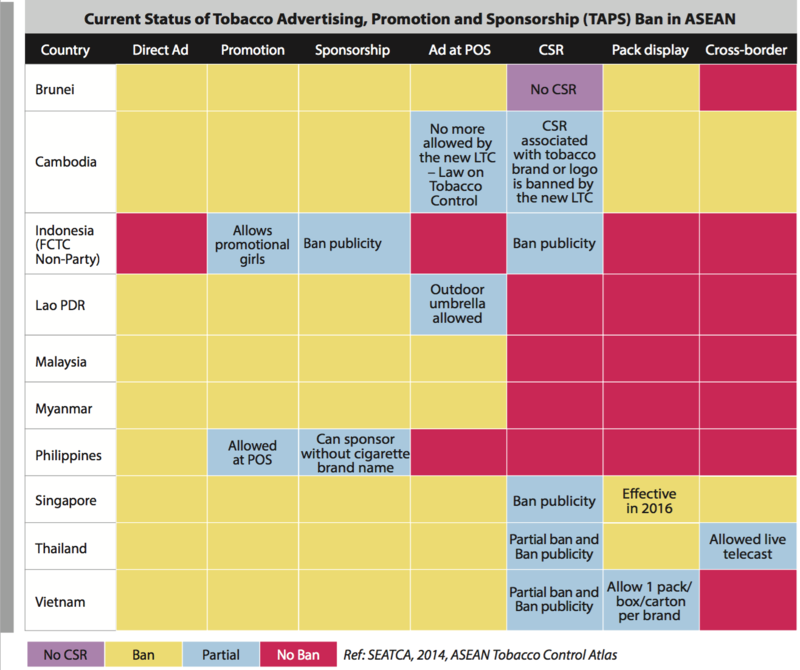 A comprehensive ban on TAPS is necessary to reduce tobacco use. 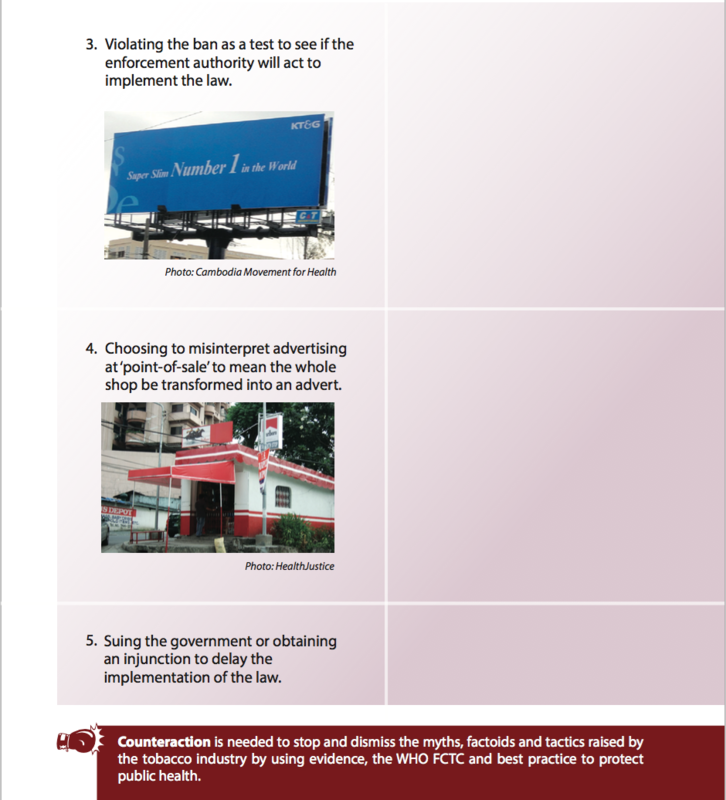 To be comprehensive, there must be bans in these 7 areas. The table1 below shows there is room for improvement in the ASEAN region. How is your country doing? 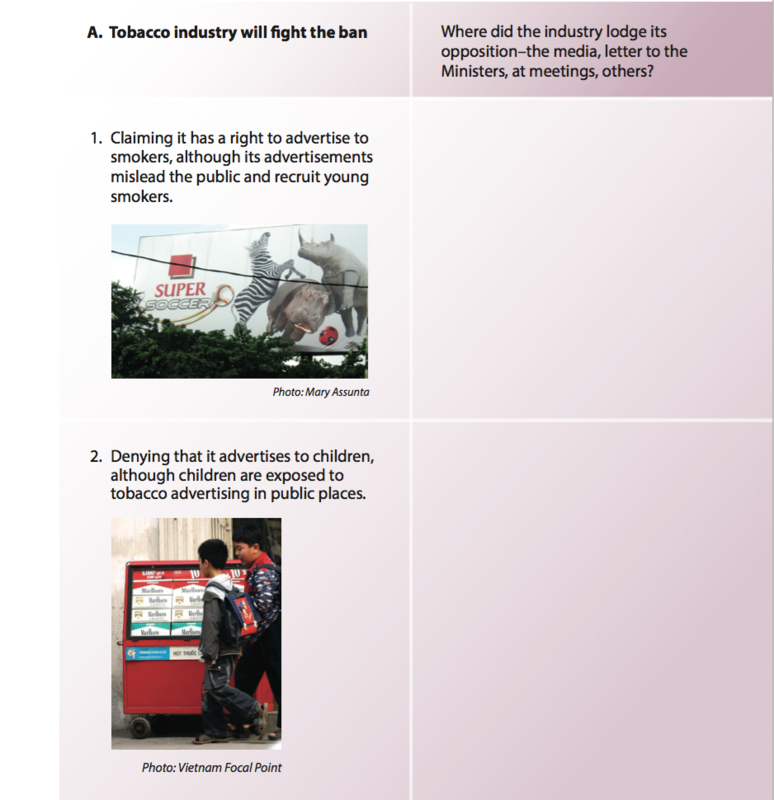 The tobacco industry will fight the ban, claiming it has a right to communicate with adult smokers, especially at points-of-sale and through CSR activities. 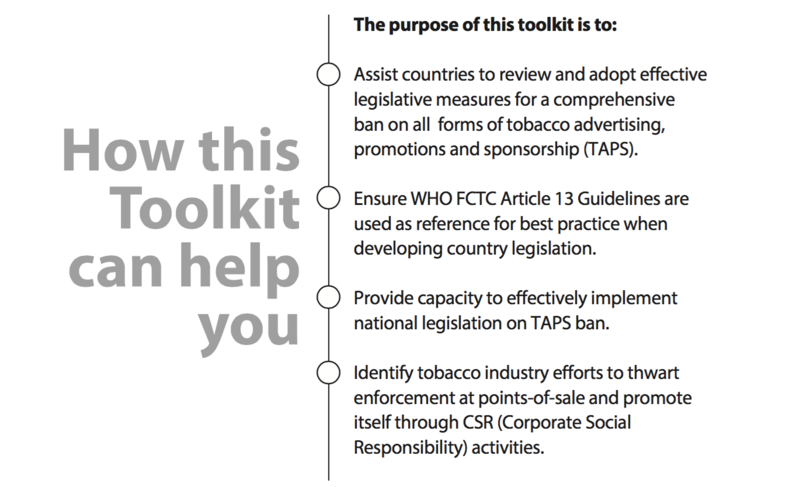 However under the WHO FCTC, Parties are obligated to implement a comprehensive ban on all forms of TAPS. 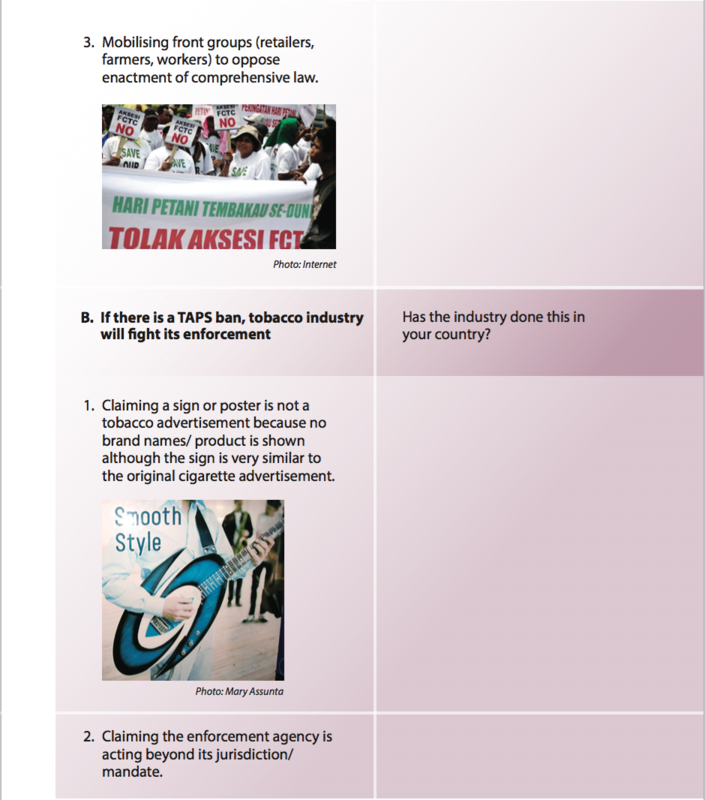 Which of these arguments has the industry used in your country?